The Nth Qld Barrel Racing Club is located at Bartlett Park Rodeo Grounds. First established in 2015 with a dream to see the sport of Barrel Racing lift to a new level, the club has gone from strength to strength and continues to keep going strong. NQBRC is dedicated to providing a safe, friendly and non expensive family environment for all barrel racing riders from beginners through to the professional barrel racer. 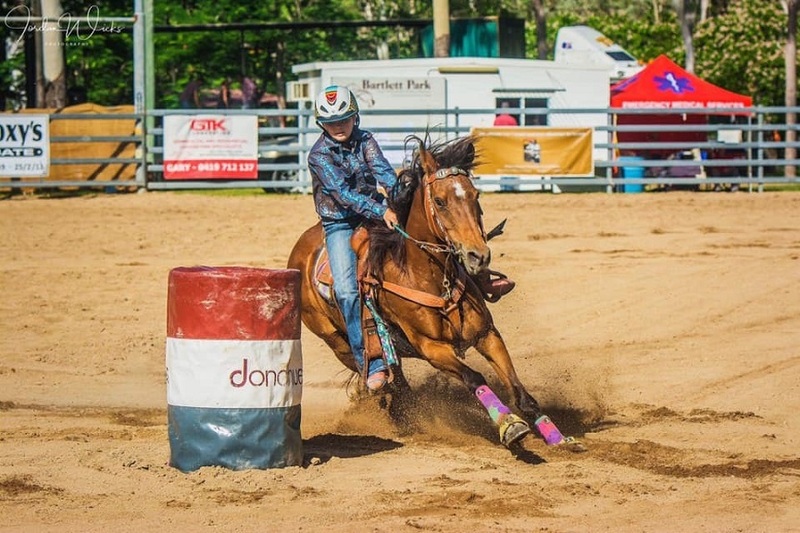 NQBRC runs their monthly events on a Divisional barrel racing format which allows riders of all ages and skill levels to have a chance to win money and prizes. Points accumulated throughout the year are also tallied and go towards an End Of Year Finals from which the Divisional Barrel Racing Champions, Junior Barrel Racing Champions and Pole Bending Champions are decided. As well as holding these monthly events, the club also holds an annual Futurity/Maturity Championship which attracts riders from all over Central and North Queensland with massive prize money up for grabs!